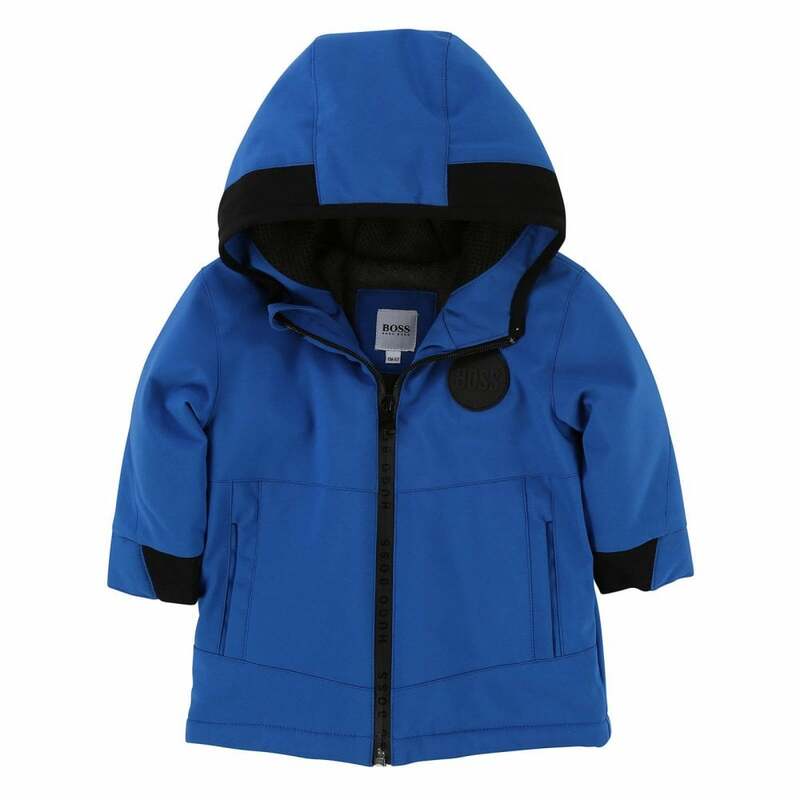 This Boss Parka is a 100% polyester and is royal blue in colour. It has a full zip fastening, long sleeves and a hood. It features a navy polar fleece lining. The Boss branding appears on the chest.